bone grafting is sometimes necessary to supplement the bone mass of patient’s jaw so that the implants can be anchored firmly. The dental bone graft is an additional procedure that becomes necessary in some cases of dental implants. A bone graft is only called for when there is no sufficient jawbone to hold the dental implants steady. Since the dental implants are implanted into the jawbone, lack of bone in this area will make the dental implant procedure impossible, thus canceling out the treatment, or it can also make the dental implants unstable. 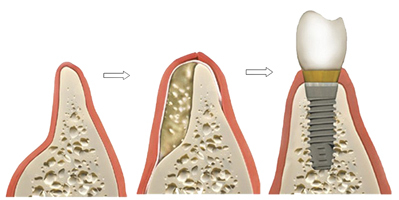 How long after bone grafting can I get my dental implant? It takes several months for the grafted material to fuse with your existing bone. Therefore, dentists typically wait 6 to 12 months to place dental implants after the bone grafting procedure. 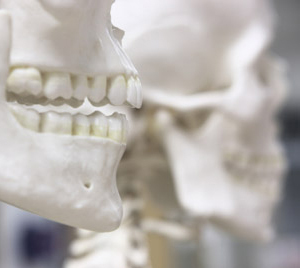 After your dental bone grafting procedure at our New York City practice, our dentists will monitor your healing and keep you updated on when the dental implants can likely be placed.